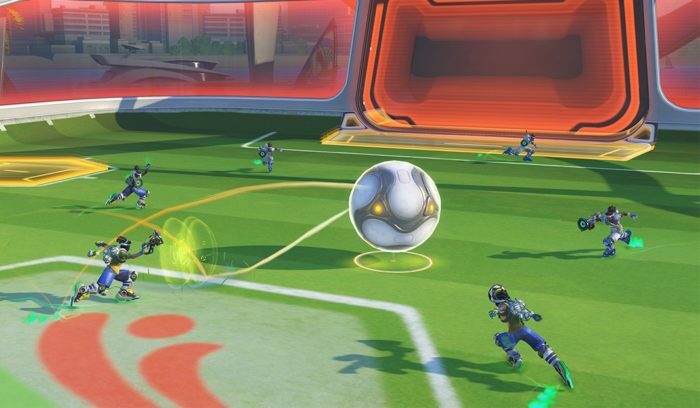 While it’s tempting to run after the ball wherever it may be on the field, there are three roles each player should be mindful of when they join a Lucioball team. One player should hang back and stick in the goal, another in the midfield to boop back balls into the enemy side when the other team is on the offensive, and the final is the attack player who stays near the enemy goal harassing the goalie to keep pressure on the enemy defensive players. By always being aware of the existence of these roles and filling the role that’s needed, you will find you are much more likely to win the games you play. This will be much easier if you are familiar with your other two teammates, but if you happen to be solo-queuing then there is something else you should keep in mind. You MUST fill the role that is needed, even if you don’t necessarily want to be it. It’s not fair when you have to be the goalie for 10 games in a row when you would rather be attacking, but if you want to win and both of your teammates are ignoring the net, you’re going to have to toughen up and step up. You might also find you are really good at being a specific role, but if another player is assuming that role already, make sure not to be too stubborn and stick too close just because you want them to leave the net or midfield. Being too close to your teammates can cause the ball to ricochet unpredictably when it would be easier to plan your shots when everyone is spread out. Having good placement on the field with you and your teammates is half the battle, so make sure you all communicate this and organize yourselves accordingly.